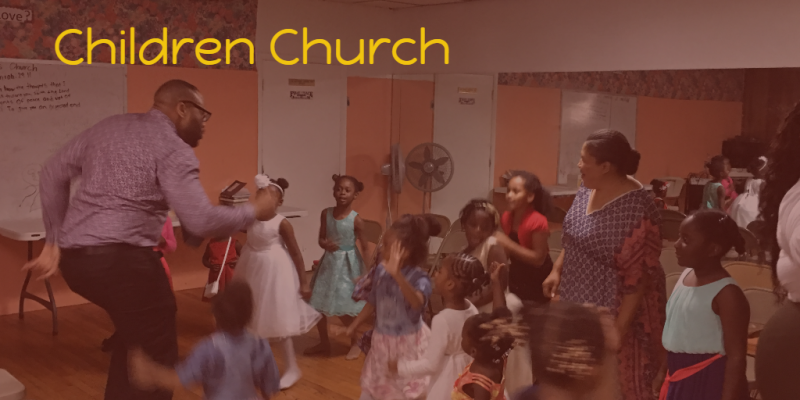 The Children's Church ministry is designed to provide the children with the foundation of worship, praise and prayer. From ages infant-4, 5-7, and 8-12; the children are taught to worship and pray collectively. Afterwards, we sing songs of praise. We then collect offering which teaches them how to give to the Lord with a cheerful heart. The children are given an opportunity to express themselves in testimony and sing. They love this part of the service because it gives them a chance to publicly thank God for even the smallest things in their lives and display their singing talents. Thereafter, the children transition to their separate classes, where they are taught age appropriate biblical lessons with real life applications. At the end of service they are given a small snack to enjoy while they wait on their parents to pick them up at dismissal.